Hurtigruten will use Høglund and HB Hunte’s FGSS solutions in tandem with large battery packs onboard its vessels, replacing its older engines which run on marine gas oil, it said. 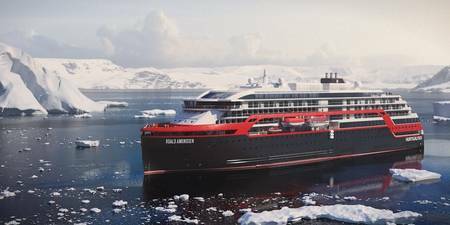 Hurtigruten, a player in the Arctic and Antarctic expedition cruise segment, will use Høglund and HB Hunte’s bespoke FGSS solutions in tandem with large battery packs onboard its vessels, replacing its older engines which run on marine gas oil. The project will mark the first time a large passenger vessel has been converted to run on LBG – a fossil-free, renewable gas produced from organic waste, such as food waste – including, notably – rotting fish.